According to the National Institute on Drug Abuse (NIDA), people who struggle with substance abuse and drug addiction need easy access to treatment. 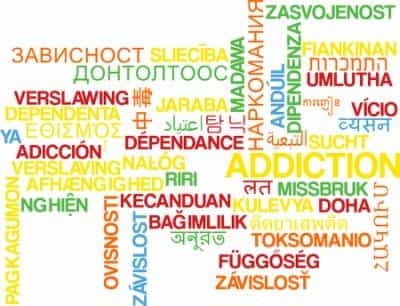 There are some countries in the world that treat people struggling with addiction and have decriminalized use of many substances unless such use is accompanied by violence. Many other countries, unfortunately, attempt the opposite; they have criminalized any drug, throwing those who struggle with addiction in jail rather than rehabilitation. Many of these nations also have struggling healthcare systems. China: Possession, sale, distribution, and manufacture of drugs to Chinese individuals, or in the borders of China, are illegal and prosecuted strictly. The country executes over 2,000 people every year, more than the rest of the world combined. There are 55 different offenses that are considered death penalty offenses, which include several different kinds of crime, including embezzlement, sabotage, escaping from jail, theft, and drug manufacturing. Iran: Ranking high both on the world Misery Index, and having one of the toughest criminal codes around the globe, Iran’s law is based on the Islamic Shariah Law, although it is not exactly the same. This means both cultural and legal punishments for consuming intoxicating substances, which includes alcohol. Iran executes around 300 people every year, and the fourth arrest involving drugs results in the death penalty.The country has recently suffered from high inflation, job instability, and unemployment. With a large number of young people, Iran’s population may suffer from crimes caused by addiction, such as robbery, at higher rates because the country struggles to take care of its residents. Russia: The former Soviet Union is notorious for its severe prisons and sudden arrests without trial. Harsh penal codes may land a person in prison and forgotten about rather than summarily executed. The nation does not have a great healthcare system either, preventing those suffering from addiction from seeking treatment. Malaysia: This nation is known for sentencing tourists to prison or death for consuming illegal substances. Although the country executes 11 people on average every year – which is very little compared to other nations with harsh penal codes – this southeast Asian nation does not hesitate to sentence substance abusers to death. The concept of “trafficking” in Malaysia appears to apply not just to selling or distributing, but also to possessing. In spite of the tough government approach to drugs, the nation has universal healthcare along with a private healthcare system, and residents can get help – just not for addiction. The United States: Originating the idea of the War on Drugs, which harshly penalized anyone with small amounts of drugs in their possession, this leading westernized country is one of the few wealthy nations that has not implemented universal healthcare. Healthcare costs, including behavioral, mental, and addiction treatment, can all be very expensive. Although the US started the concept of addiction treatment in the form of support groups like Alcoholics Anonymous, this group relies on religion, spirituality, and social support rather than medical treatment, which can be dangerous for people struggling with some drugs, like alcohol. Even after reforms to drug laws, the US still harshly punishes people for certain substances. Although no one has been executed for drug charges, many people spend years in jail or face harsh fines.